. كما يقدم فندق بارك 8 - باي 8 هوتيلز الكثير من الخدمات لإغناء رحلتك في سيدني. إن واي فاي مجاني في جميع الغرف, خدمة التنظيف يوميًا, مكتب الاستقبال على مدار الساعة, تسجيل وصول/خروج سريع, تخزين الأمتعة هي جزء فقط من الخدمات التي تميز فندق بارك 8 - باي 8 هوتيلز عن باقي الفنادق في المدينة. في فندق بارك 8 - باي 8 هوتيلز غرف نوم يزيد عددها عن 36 صممت بذوق وعناية لتوفر لك كل وسائل الراحة . بعضها يحتوي أضاً على تلفزيون بشاشة مسطحة, سجاد, غرفة معيشة منفصلة, كاشف دخان, اتصال لاسلكي بالإنترنت. يقدم الفندق خدمات رائعة كمثل حوض استحمام ساخن, مركز للياقة البدنية, حديقة لمساعدتك على الاسترخاء بعد نهار طويل من النشاط والتجوال في المدينة. إن فندق بارك 8 - باي 8 هوتيلز هو خيارك لخدمة الفنادق الراقية في سيدني. Great place. Great location. You know you'll be safe. There is this one stupid customer who smoke and set off the alarm and woke everybody up at 3 AM. Not the hotel's fault but at least you know you are safe if a fire sets off. The staff and location were wonderful. However, the room was small and definitely needed updating. The carpet seemed dirty and there were scuff marks on the walls. The bed felt clean and was comfortable but i was surprised by the rest of the room and the bathroom, where there was a hole around a pipe in the floor and circulation was pretty bad so towels didn't dry well. Also, i noticed 3 dead moths in the room. If the room was updated i would highly recommend this hotel because the staff was great and the location was terrific for seeing a lot of downtown sydney. .....and the rest of the front desk staff were simply wonderful! A great location for exploring Sydney; close to 2 subway stops, Starbuck's (sorry! ), etc. Plenty of receptacles for charging all our electronics. The cost of sending laundry out is outrageous -- but Reception warned us about this issue. We stayed at Park 8 for 10 days during the Vivid Sydney period and also for the Australia Open Badminton 2016. 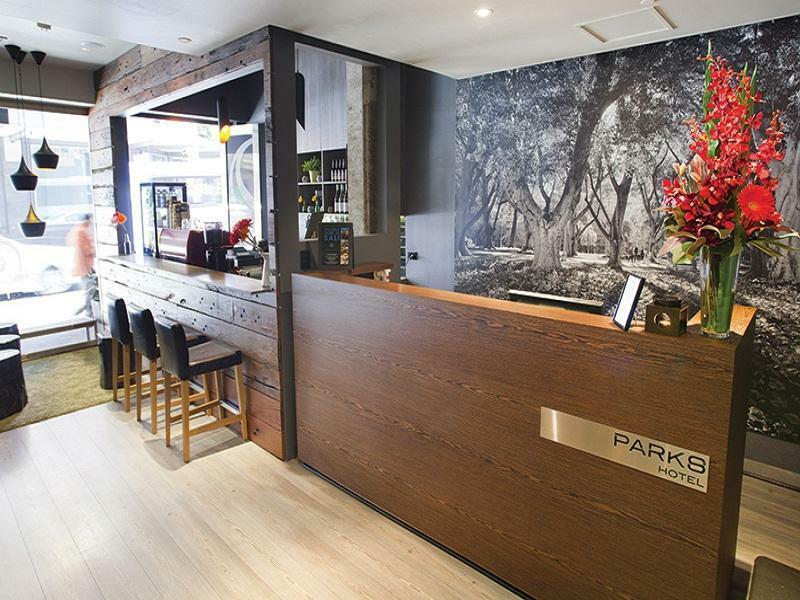 The location was perfect and was a walking distance to most places within the Sydney CBD. For any further places, there were plenty of taxis to catch. The room was clean, all necessary amenities were available, including a 24 hour food delivery services in partnership with local restaurants. For convenience, there's a small café at the lobby and coffee is great. Staff were friendly and always available which is a plus point always. Would stay again in the future should we visit Sydney again. The location is great. Just few blocks away from St James Station/Town Hall Station. We had a great time in the room despite the wild weather on the 4th to the 5th of June. The wifi is fantastic and fast. The staff was smiley and really friendly. Kudos to them. Overall, we enjoyed our stay! Location - right at the heart of Sydney CBD, stone's throw from Hyde Park, Museum and Town Hall Stations. Staff - very helpful and friendly. Rooms - a bit on the small side, but still nice, clean and comfy. For the price point it was fine but the bed was terrible, the green carpet and dark rooms felt a little backpackerish also the windows aren't properly sound proofed or double glazed so if there happens to be night roadworks as was the case for me, you hear EVERYTHING. The staff were lovely, I paid for breakfast but opted out on having it given the small space and several people already crowding the 4-5 stools. I'd take it as a last resort but not a go to option for me. Everything's okay, size of the room is big, bed & pillows are soft and the airconditiong works well. Lot's of restaurant to choose from. Convenience store are around. Walking distance to most tourist attractions. One thing I observed is the stain in the toilet bowl which is not removed when cleaned. Friendly staff, excellent showers, good bed. The outside doesn't look like much as this hotel has been fit into an old building. A small but warm lobby leads to a scary elevator, but the rooms are quite nice. Big shower with excellent shower head and water pressure! Bed was comfortable. We were there for a long weekend, very central location and close to the new Westfield. Good for the price. Staff were very friendly and happy to keep luggage before checkin and after checkout. Small cons: Dripping tap in room, and when we picked up our bags, they just let us into the storage room and grab what we wanted. Felt a little bit uncomfortable in retrospect since we left some expensive luggage in there, but there weren't any problems. Not the self-rated 5-stars, but overall a good stay. The rooms are a little small for a 2 bedroom apartment however we found our stay very enjoyable. Staff were friendly/helpful and rooms were clean. The only issues were the $4 bottles of water that were not clearly displayed as being chargeable and the wifi never worked on our 4 devices. The hotel is being demolished soon. What stood out most is the location. 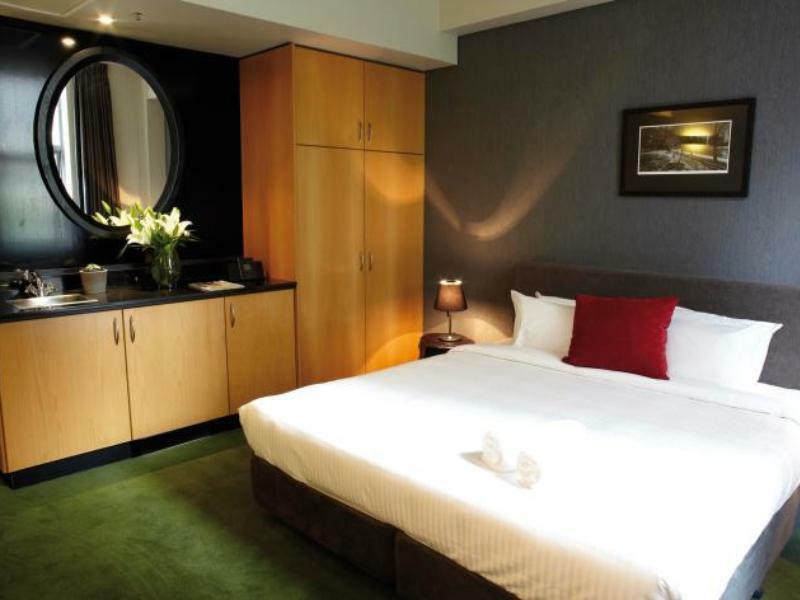 This hotel is located right next to Hyde Park and within walking distance to attractions such as Royal Botanic Gardens, Queen Victoria Building, Museum of Sydney, Paddy's Market, etc. Down side is that the entrance to the hitel is very small and not easily noticeable. People who drives may find it inconvenient as there is no parking space at the hotel. The room was small but pleasant enough and had most amenities you would expect for the price. I did find the lack of any printed material to welcome me, tell me how the place worked etc surprising and it left me with a bad impression, not helped by a cursory experience at the check-in desk. the room was good. extra sofa bed was a bit stiff but tolerable. location is good, right next to the park and 15-20 minute walk to royal botanical garden and other nearby attractions. no parking available on site but they offer discount code for nearby parking. The rooms were well appointed however there is no drop off or pick up area for guest. The reception area is tiny ...no lobby. The picture of the hotel was very deceptive. Could have picked a better hotel for the same price. The best part of the hotel was the location, only one block from Hyde Park. Comfortable and very clean room, with fridge & good tea making facilities. Didn't have breakfast there as plenty of options on same street. 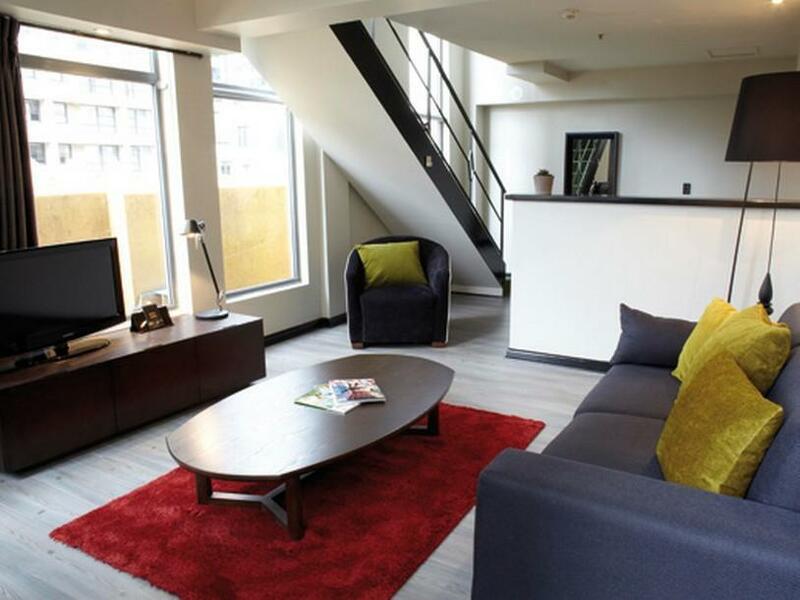 Good location near Hyde Park and bus route to city centre or 20 min. walk to circular quay. Helpful & friendly staff. We booked a double room with mezzanine bedroom/bathroom. Really happy with room which was modern and fully equipped for our stay. Daily room cleaning, helpful friendly staff and perfect location opposite Starbucks and Museum Station across the road!! This was our first time visiting Sydney and we had a 6-year-old girl with us. 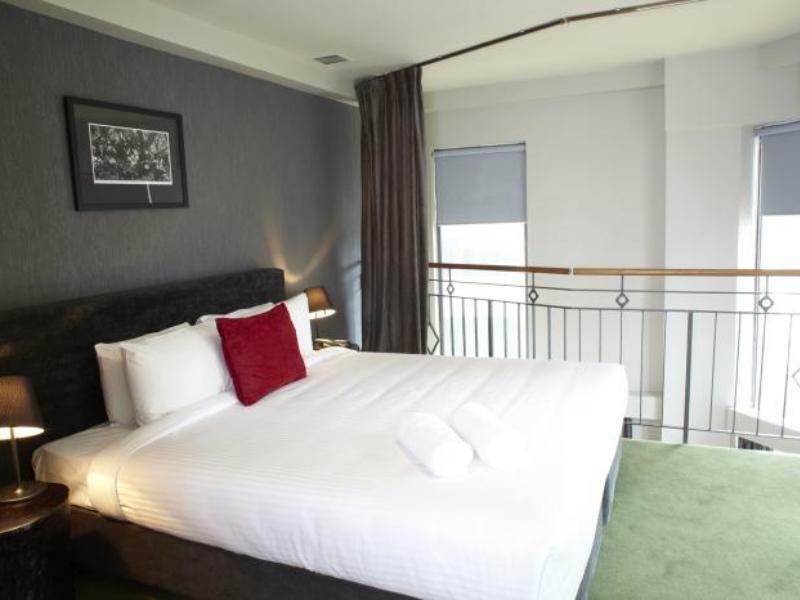 The hotel was well situated at the heart of Sydney city and it was close to amenities like Woolworths and train station. It was also close to Haymarket and Chinatown. We booked a 2-storey loft room and this concept was interesting. My girl had fun exploring the room. However, to our disappointment, the facilities were not well kept. On the first night, the air-con broke down and the wifi was not available. This was only resolved on the second day. On the second night, the fire alarm went off and all the guests had to evacuate in the middle of a cold and wet night. It turned up to be a false alarm. The room is dim and dusty. However, it is a good place to be based for a short stay. The staff were helpful in answering our questions.